Turbans have become very fashionable of late and it is a look that can be pulled off with a bit of confidence. Think 70s film star not cancer patient!? This traditional turban style adds height & fullness to your face & and sits low at the nape of your neck. 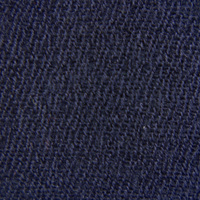 There is a small oblong band at the centre front and a cascade of hand stitched pleats at the back. One of my clients even liked to wear it back to front for a change. It can also be worn with the front band to the side of your head for a different look. 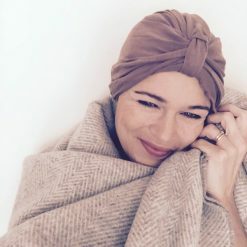 I have called my chemotherapy turban, Lucy, after the lovely lady you see modelling on this website who got me started on this chemo headwear business in the first place. She is and remains a true inspiration. 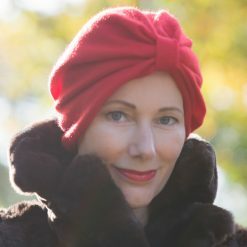 I make the chemo turban in various fabrics, firstly 100% cashmere to keep you warm in the winter months. I source the softest pashminas made from the finest A grade cashmere sourced from the Capra-Hircus goat & cut them up to make the most luxurious of chemotherapy turban on the market. I am told it is like having a hug on your head. 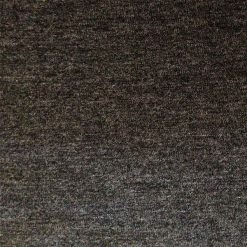 They are also super light due to the fineness of the cashmere so again are light enough to wear indoors. I make them to the exact measurement of your head so it fits perfectly. 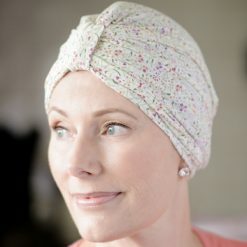 I also offer some jersey (stretchy) styles of chemo turban. 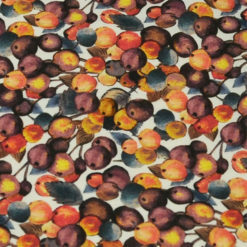 Firstly, Liberty jersey fabric in a wonderful selection of ever changing beautiful prints. The drape & quality of the Liberty viscose jersey is second to none and I hope that there should be a print for everyone there, whether you have blue, green or brown eyes. And now, thanks to a wonderful suggestion by Caroline (who you can see modelling it & gets all the credit for this brilliant suggestion!) I have created a completely reversible turban. 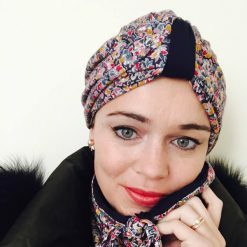 It has the option of a completely plain coloured bamboo outer with either a plain matching tab at front or a pretty print tab at front (there is a tab at front and back of this turban). For the days when you need a bit of print you can wear it with the beautiful Liberty print and matching tab, or even with the plain colour tab for a bit of contrast. So that is 4 different styling options for the price of one turban. Genius.